If you haven't had a recent insurance quote, there is no time like the present to see if you could get better rates on your auto, home owners, condo or tenants insurance. After all, we could all use some savings and State Farm Canada is here to help! Your family's needs change... maybe you have added a new driver into the fold or you are thinking about buying a new vehicle? Or, maybe your family has some seasonal toys (think ATV's, boats and snowmobiles) that need insurance? State Farm Canada makes this necessary step easy! 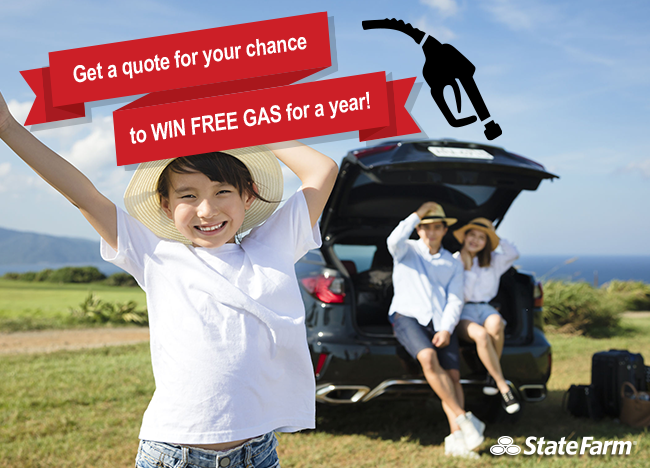 And hey, get a quote and win free gas for a year! Share this post and give your friends a chance to win too! GOOD LUCK & HAPPY ROAD-TRIPPING!